Hi Everyone! What's unbelievable? Well, it took me two hours to make this simple card. Why? 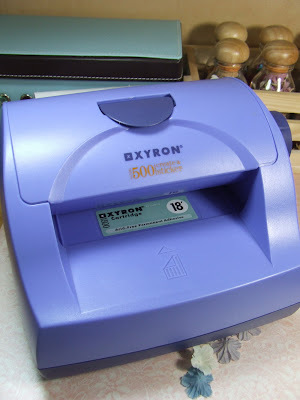 Well, a few months ago I had bought a Xyron sticker machine because I had a 50% JoAnns coupon and decided to buy the machine. I wasn't sure what I was going to do with it but I figured that I'll find some use for it one day. Today, I decided to use the machine. I wanted to add glitters to the snowflake die cut and I thought, well, I'll run it through the machine to add the sticky on the snowflake and press the glitters on to it. Yay! Well, I opened the box and the only instructions in the box stated to just run your image through the machine by rolling the knob clockwise. Okay. . .sounds simple but I was like "how do you set up the machine,?". . .I looked for the instructions and there was none. Most times you have to do something to get started. I thought, how stupid not to have any instructions to set up the machine. So, like a dummy, I opened up the cover and started meddling with the paper and plastic sheet inside the machine. I was becoming really FRUSTRATED trying to figure out how to thread the paper through and kept messing with the cartridge. I did it several times and it refused to run my die cut through the machine. Then after 40 minutes of adjusting and readjusting the cartridge a light bulb went off in my head. Could it be possible that there is NO SET UP process? Nah, that can't be, huh? But nothing else was working so I decided to put the cartridge back the way it initially was when I first opened up the box. Well that took another 15 minutes of messing with the machine. When I finally figured out how it was initially set up, I ran my die cut through and it worked! ARRRGGGHHH!! Can you believe it? I learned a HUGE LESSON!! If there's no instructions telling you to set up the machine. . . it means NOT TO SET UP the machine. Just follow the instructions. . . "run your image through the machine" . . .that's it! I guess it sounded too simple. Well, I finally was able to run my snowflakes through the machine and add the glitter on to them and finish up may card!! I was so exhausted, I didn't even bother to clean up the glitter around the edge of the snowflakes. Anyway. . .nothing much to this card. 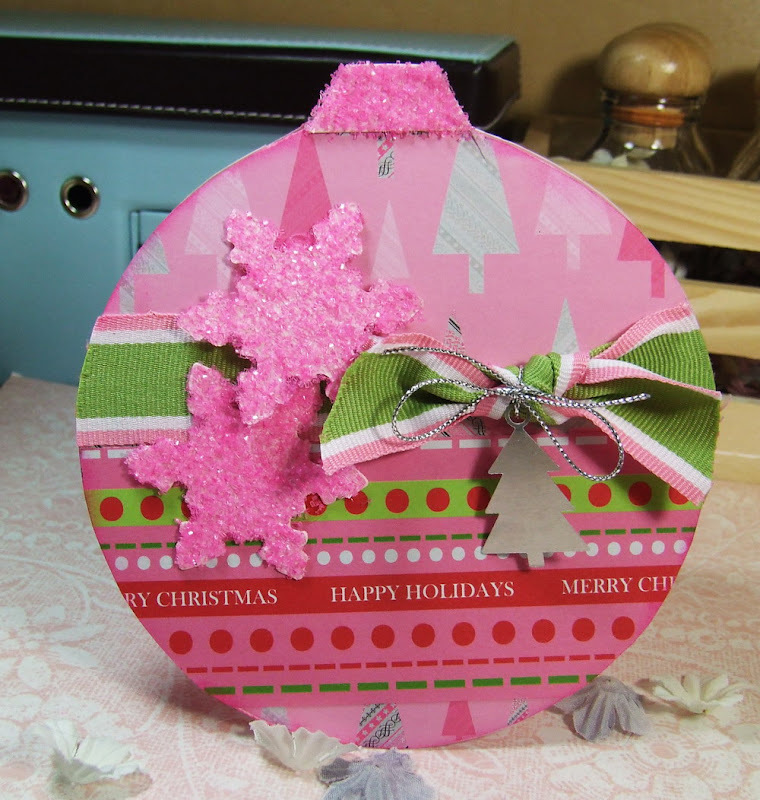 I just cut a 5" circle using my EK Success circle cutter template, added the ribbon, attached the charm and snowflakes and that's it. Okay. . .if you buy the Xyron machine, don't mess with it. . .there's no set up process. 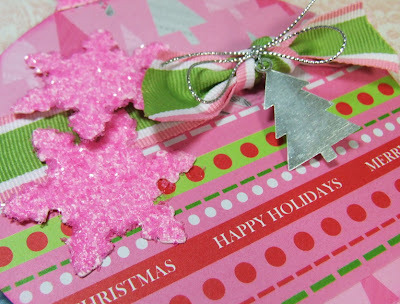 It's a good way to use up those scraps, and make your own sticker sheets and give as gifts in a notecard set. For single stickers, I use my Xyron "X" . But you're the pro!!! Why am I rambling! Thanks Ate Maria for being my inspiration all the way in North Carolina! I'm sure you will like it more next time you will use it! This card is gorgeous! Love the snowflakes! Glad that machine did work! Your ornament card is so beautiful! In my mind, both you and Mel are super talented and super creative. You make something relatively simple look like a million bucks! Great job!!! LMAO.......I'd do the same thing, I always think that nothing could be that simple...ahahaha.Beautiful card too ! 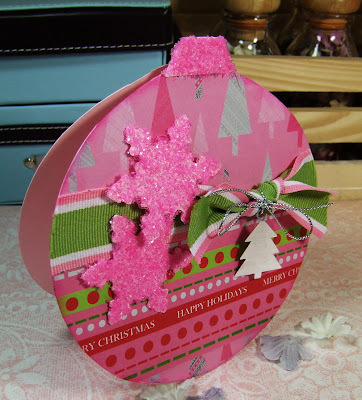 I love these ornament cards! Great colors Maria! TFS! Your card looks Gorgeous..I love the glitter stars. I have the same machine....I haven't used it yet...and since you have explained how easy it is...I think I'll bring it out....lol. Oh that is too funny! but your card DID turn out gorgeous! oh Maria! So Sorry you went through that hassel. I have had my 510 Xyron since they first aired it on QVC - prob 4 years ago! Glad you got it to work and I love your card!